Those were the inspiring words for school students that ended last week’s incredible UK premiere event for He Named Me Malala, spoken via video feed from the young woman whose story has captured the world. Three years ago, on 9th October 2012, at the age of 15, Malala Yousafzai was shot in the head by the Taliban on her way home from school in her home in the Swat Valley, northern Pakistan. Her crime – having the courage to raise her voice in support of education for girls everywhere and her own right to continue to go to school (which had been banned by the Taliban in her region). It was a shocking event and it was feared Malala would die or never recover from her horrific ordeal. 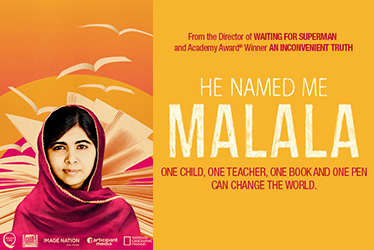 Malala did survive and this documentary film, charting her life (and that of her parents and two brothers) since that day in 2012, is a testament to her determination to not only survive, but to raise her voice louder than ever in support of a cause for which she has so much passion, following the example of her father, who was also a school owner and activist in Pakistan. Hers is a remarkable story and this is a truly remarkable, moving and inspiring film. Director Davis Guggenheim (best known for films An Inconvenient Truth and Waiting for Superman) was the only director approached by the producers, who felt his style of filmmaking would enable him to put the family at ease. As well as filming the family at home, doing all the everyday things any family does, a lot of the content for the film is a result of his long conversations with them, after he arrived with no notes and just a microphone and let them open up to him. Parts of these conversations form narration of the film, which he describes as a pictorial expression of these quiet conversations. 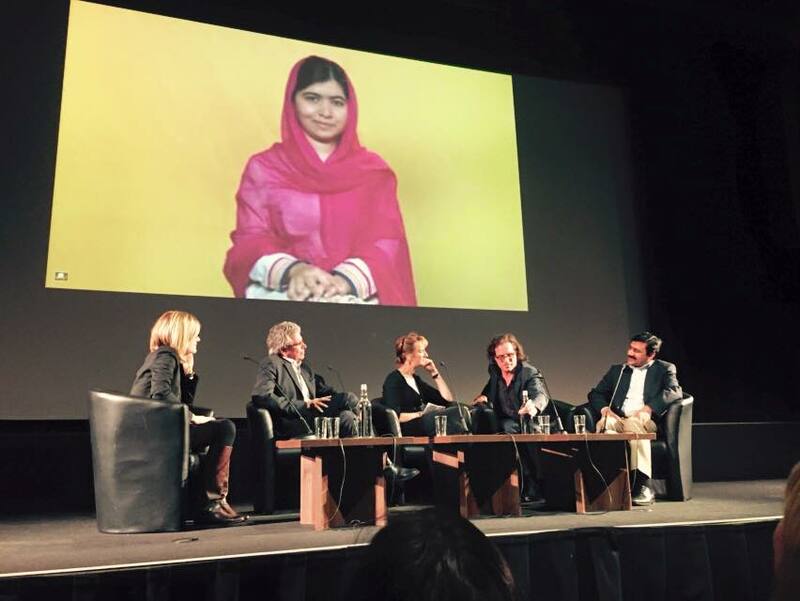 It was also interesting to learn at last week’s Q&A (with the producers, director and Malala’s father Ziauddin) following the London Film Festival screening of the film that initially the plan had been to make a mainstream feature film of Malala’s story. However, on meeting her and her incredible family (her younger brothers are stars in their own right in the film, bringing moments of fun and laughter to the screen, as they talk about their sister), producer Laurie MacDonald felt no one could play Malala and that capturing this special Muslim family for a larger Western audience would perhaps be even more powerful. It was absolutely the right decision. 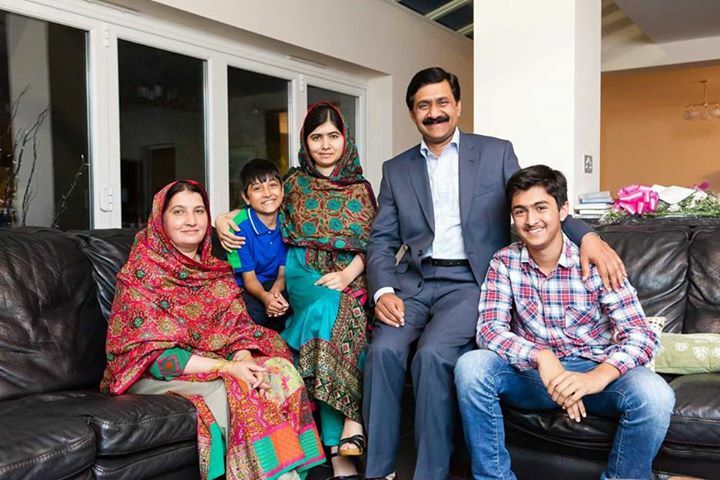 The greatest strength of the film is how immediately you connect with Malala and her family. Now living in Birmingham, they have had to leave their home, friends, country and part of themselves (especially her mother) behind because Malala and her father had the courage to speak out. The Taliban have publicly said that if she returns they will kill her. A fictionalized depiction would have taken part of the story’s power away from it and with someone as inspirational, funny, intelligent and eloquent as Malala at its heart I can’t imagine anyone else conveying her message better than she can. Early on the director also decided on another element for the film that I loved. This was to weave the history of Malala’s family and her heritage in to the documentary, stories that couldn’t be captured in normal documentary fashion. Instead, with the help of Image Nation and an animation team, the stories of Malala’s parents as children and herself growing up in the beautiful Swat Valley before the Taliban are brought to life through animated scenes, which leap off the screen as if pastel paintings. Guggenheim spoke of how hearing Ziauddin remember stories was like a storybook and he wanted this to form part of the film. It works superbly, with these stories of the past, interwoven with the documentary moments from the present, as we see Malala adjusting to life and school in the UK, enjoying simple pleasures with her family at home and travelling across the world to meet world leaders, refugees and school children in places such as Nigeria. The film in fact begins with such a scene, as we hear the story of the girl Malala was named after Malalai of Maiwand, who in the 18th century inspired the Afghan fighters not to give up in their fight against the British. She led them to victory with her courage, risking her life and was shot during the battle. It’s an astonishing beginning to learn that this young woman from Malala’s Pashtun culture’s past was her father’s inspiration for her name, when their stories have such striking similarities. 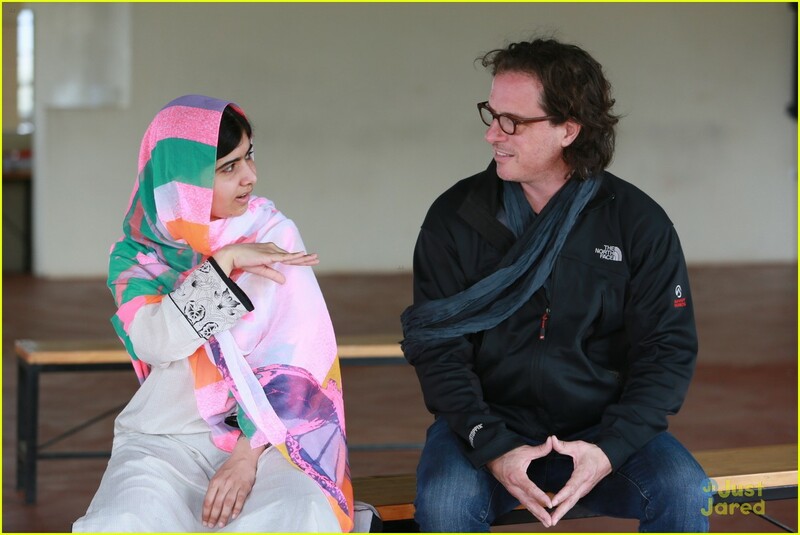 He Named Me Malala is very much a story of a father/ daughter relationship. After the screening Ziauddin spoke about how you can inspire your children and in a patriarchal society in which women are deemed to be property, when he named Malala, he meant it. He did not clip her wings. In the film, we hear his fear that on waking after the shooting she would blame him for letting her take such risks. In fact Malala calls him her inspiration and is pleased that he did not stop her from doing what she felt she had to do. She spoke last night that this is not just her story, but that of lots of other girls. The point is she isn’t unique, she is one of many and she wants everyone to learn and to help enable every girl to have an education. As one audience member raised last night, documentaries tend not to get the wider public attention that feature films receive, but I hope very much that the producers’ determination, together with the strong support they have from Fox Searchlight, means that He Named Me Malala will see the wide release it so deserves including, I hope, in schools across the world, to help educate a new generation. I strongly believe that everyone, no matter your age, race, religion or background should see this film. It will make you laugh and cry, while inspiring and educating you. The world is lucky to have such an important role model as Malala Yousafzai. Next Next post: Mr Foote’s Other Leg Secures West End Transfer!